Princess, the British boat builder is entering the super yacht sector with the launch of the first of their M class vessels. 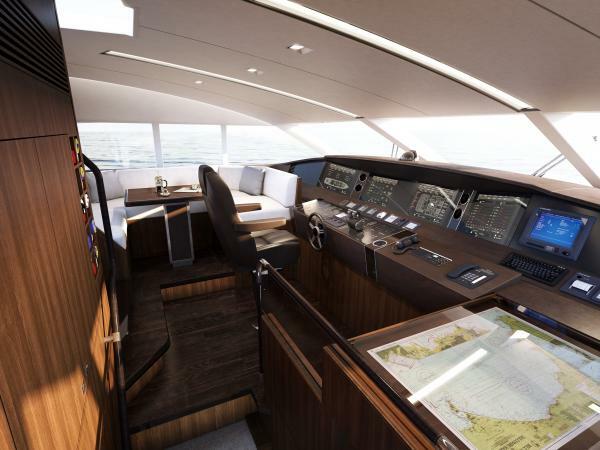 To be unveiled at the London Boat Show in January 2011, the 32M will also be the largest overall vessel to have been showcased inside London’s Excel exhibition halls. At 32 metres in length and over 13 metres in height at her highest point, she only narrowly fits through the enormous South Hall doors at the exhibition centre posing a challenging logistical feat. Once inside she promises to be a hugely impressive feature at the show dominating the new boardwalk arena. The new 32M is a remarkably accomplished long range cruising yacht, with an authoritative style and engineered to the highest seagoing standards. 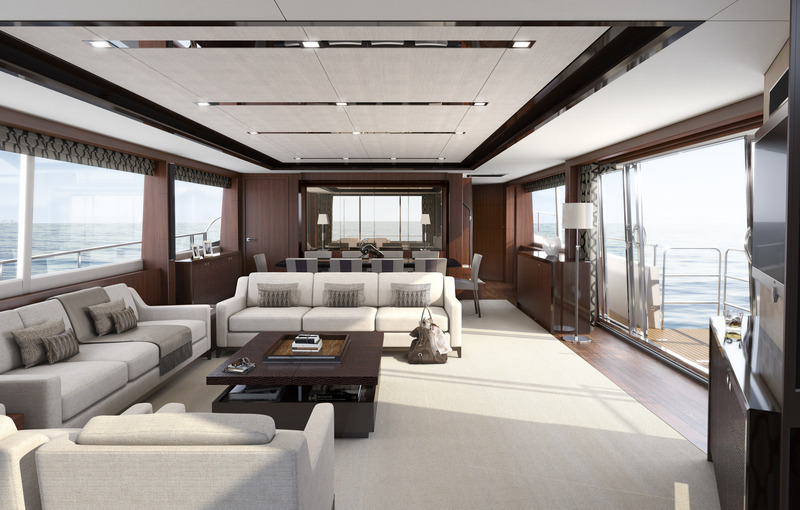 Her huge saloon features vast windows to each side and sliding doors leading out to a drop-down balcony to starboard which gives the entire main deck the benefit of a spectacular open vista. Offered with four or five guest cabins her owner’s suite is located on the main deck benefitting from large windows providing excellent views on two sides and an equally impressive bathroom forward with spacious shower and separate whirlpool bath. 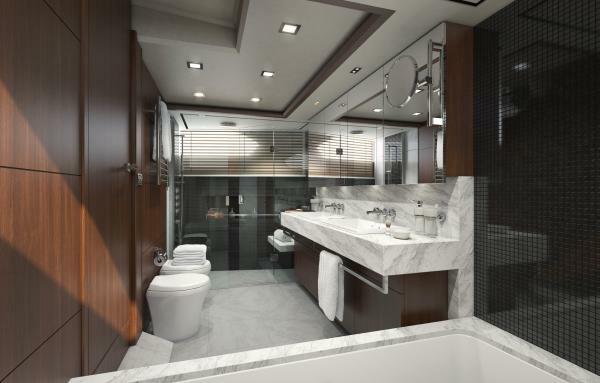 Down below, a full-beam VIP suite is also truly imposing and there is an additional double guest cabin on the port side, with a roomy twin to starboard, reached via an impressive central lobby. 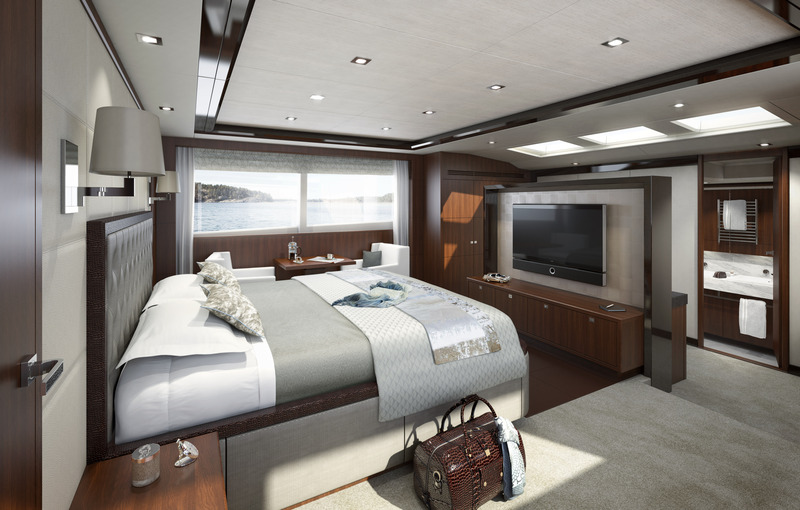 Owners who enjoy cruising with larger groups, or those with an eye on the charter market, can opt for the five-cabin layout, with two double guest suites in place of the palatial midships VIP, as is the arrangement on hull number one. 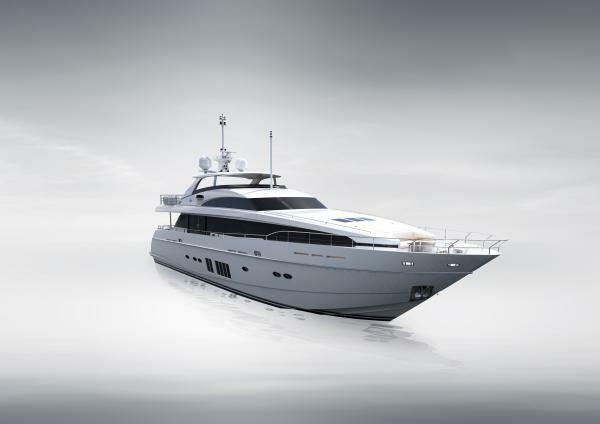 The 32M heralds the dawn of a new era for Princess Yachts, and a distinct horizon for the brand. Approval has now been gained to transform the Company’s South Yard site through a £45 million investment programme and create an industry leading manufacturing facility for a range of larger yachts. 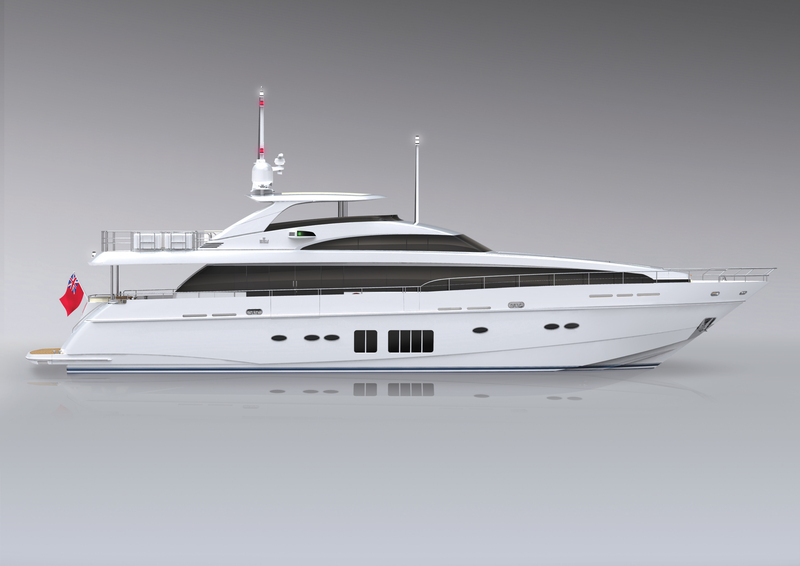 2012 will see the arrival of the 40M, a 130 foot tri-deck vessel and new flagship for the company and construction will commence in early 2011. Princess has invested heavily in products across their entire size range and 2010 saw the company launch 5 new models, some of which will make their London debut at the show. 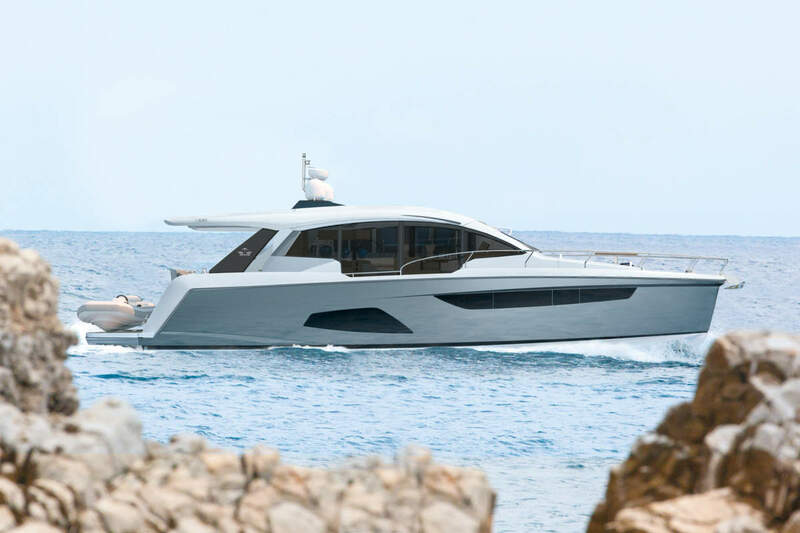 The Princess 64 and revised Princess 42 will be on display together with the V52 sports yacht and the V56 will feature a full beam master cabin layout.